To request a press kit, please contact us. For selected press quotes, please click here. 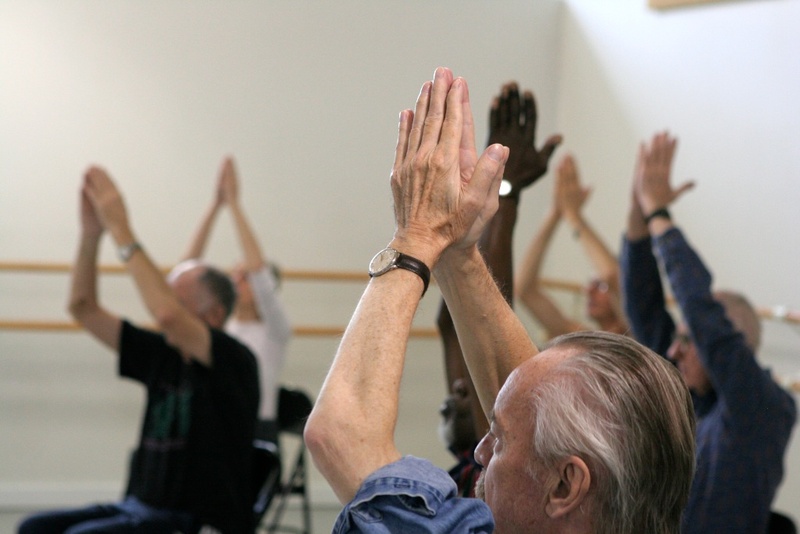 Audio: Please click on the photo to the right to hear Michael Brookes (in foreground of photo) speak to WNYC’s Brian Lehrer about his experience as a member of the Brooklyn Parkinson Group taking Dance for PD classes at the Mark Morris Dance Center.